The page Yuki set up for has shot up to 22K+ likes over the past few days while Zoe Raymond’s comment page has plenty of new and constant criticism. I believe, just like how the drama and movie “The Shrewd Wife” (犀利人妻) gain immense popularity because many people are able to relate to the plot. I read some interesting comments on different blogs and would like to answer some of the questions posted. Q: I don’t understand why Yuki still wants Alvin back if she already knows he got another woman out there? Why hold on to someone who got someone else? A: My friends asked me the same questions too, when my ex two-timed me for the first time in 2010. So my response to Huihui is, the “someone” you mentioned was a guy who Yuki was planning to marry and live with for the rest of her life. He was hers right from the start. Do you think it’s so easy to let go? When such thing happened, we usually create hundred and one excuses for our partner, we think he/she is just seduced by the third-party. We hope they will realise they are wrong and they actually love us. Yes, why still hold on? I don’t understand too. I don’t know why I did that, but the pain is like having your nail plucked out from your finger. Torture. The person whom we laughed with, share our troubles with, is now doing that with another person. 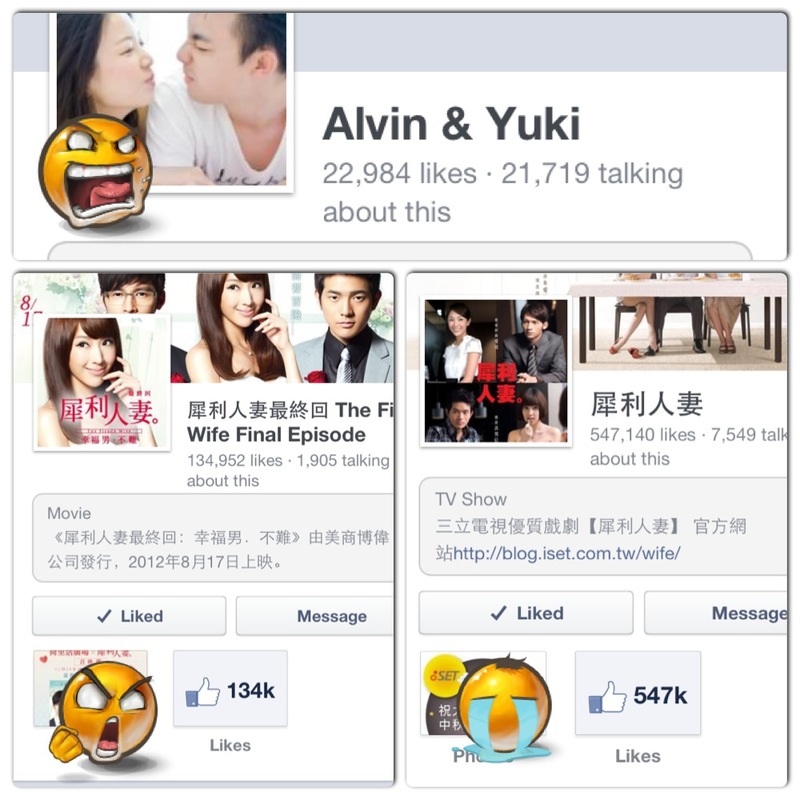 Q: I don’t understand why Alvin can’t be honest to Yuki and break up but propose to her? A: Some guys like to make sure they have at least one girl in the end. My ex was holding on to me while searching for another girl. 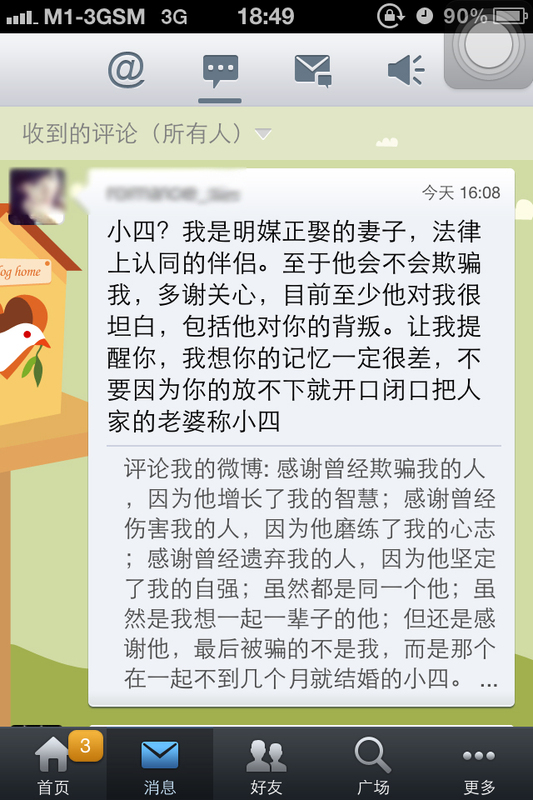 He told a sweet girl’s friend he is interested to pursue her, while he was still secretly attached to me. That girl was a Capricorn like me, we go for evidences, and I showed her how he said she is just a friend and he’s not interested in her at all. She saw how he’s a two-faced person, and let go. She advised me to do so too. But of course, I did not again. Q: Why doesn’t he just stay single and have the two girls going after him? A: This is the excitement of forbidden love. It’s like being wanted. But of course, he might have to wanted to break it clean with Yuki, but the peer and family pressure might have forced him to “reduce the pain slowly”. Q:I don’t understand why Zoe doesn’t mind being a third-party? A: I guess it feels exciting to be wanted by an attached guy. It makes one feel superior or prettier than the existing gf. I am not Zoe Raymond, so whatever I say here is’t just my personal view. Q: Is it true when people say that she enjoys being a third-party since young? A: No one knows except Zoe Raymond and the involving party, and perhaps Xiaxue, since she made the statement on formstring. P.S. Above are my personal response and it doesn’t represent Yuki’s. I received feedbacks from many people, my bestie was shocked that I wrote it (she said she ‘fainted’), my friends were supportive of me, some readers wrote in, encouraging me and even shared their personal experiences etc. One friend of mine said that after reading my entry, she started wondering if she was the third-party in the relationship. What I can say is, the third-party definition is very complicated. For me, if the cause of the break up is that particular girl and the girl gets attached to my ex in less than a month after the breakup. Who in the world doesn’t think she’s the third-party! Another male friend actually thank me and said that he realise the importance of transparency and communication with his girlfriend (after reading my post). Yes, it is indeed important, and if you have nothing to be afraid of (going out with friends etc) then why do you even have to hide? How would you feel if someone comes to you and tell you that 1 day before your supposed-5th year anniversary and say that? Did I pester him? No. Did I stalk him or her? No. But why do that? Because she’s insecure? Because she knew she’s guilty? I guess it’s just like why Zoe Raymond put certain things on Alvin’s car. 1) put down your pride and go back home. family will always at the end of the day, be there for you no matter how much you perceive that they are not on your side. 3) Contact just one person whom you can turn to currently (the first one that pops into your mind), maybe ask the person if can accompany you to pack your stuff and go home with you, so that you won’t be able to back out? Of course, there were a few who confronted and bombard me for wanting fame. I just wish to let my story be known, and help the many people out there to stand up again. It’s hard to do it yourself. It will be easier if you know you are not alone. Stay strong & Merry Christmas. 1/2 of #TheEpiphanyDuplet, Tiffany Yong juggles her ABCs – Acting, Blogging and Coaching/Consulting as she is fuelled by passion and drive to succeed. It is not easy to make a living in Singapore just purely based on Acting, so with Blogging to help her with her online presence, and Coaching kids drama, private tutoring and freelance social media consulting to finance her life, she is currently leading the life most people hope to have: Living the Dream!